Flybe will operate four flights a day from Newquay to London Heathrow. The search for the missing plane was suspended on Tuesday evening after search and rescue crews scoured more than 1,000 miles of water. The 'plane is thought to have taken off from Nantes in Brittany and was flying to Cardiff. A group of people have come together this weekend to try to rid a Cornish beach of plastic pollution. Tom Butler received serious injuries after surfing in the same place in 2016. The firm behind it couldn't find investors after going into administration earlier this year. The accolade marks how many people have switched to using less plastic and take part in beach cleans. There's a warning from the emergency services for drivers to take extra care on the roads in wet driving conditions. 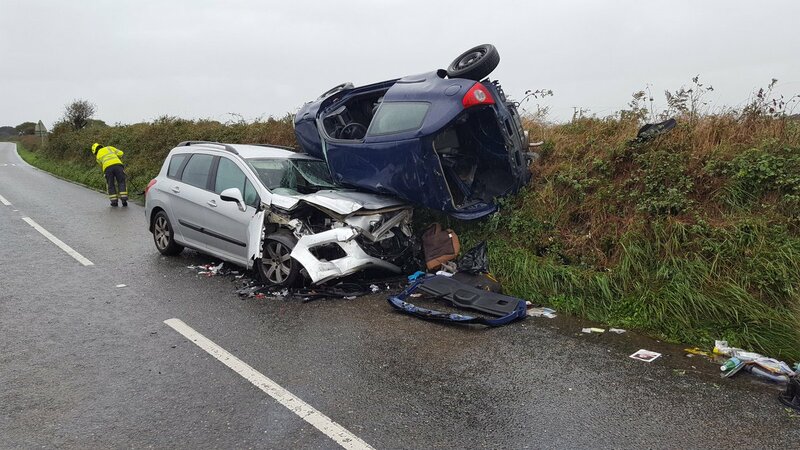 It comes after two cars crashed near Newquay. Newquay Community Fire Service have shared the tweet to remind people that they should 'drive to arrive'. One person was rescued from a vehicle but everyone is said to be ok.
Police are appealing for public help to trace the thieves.